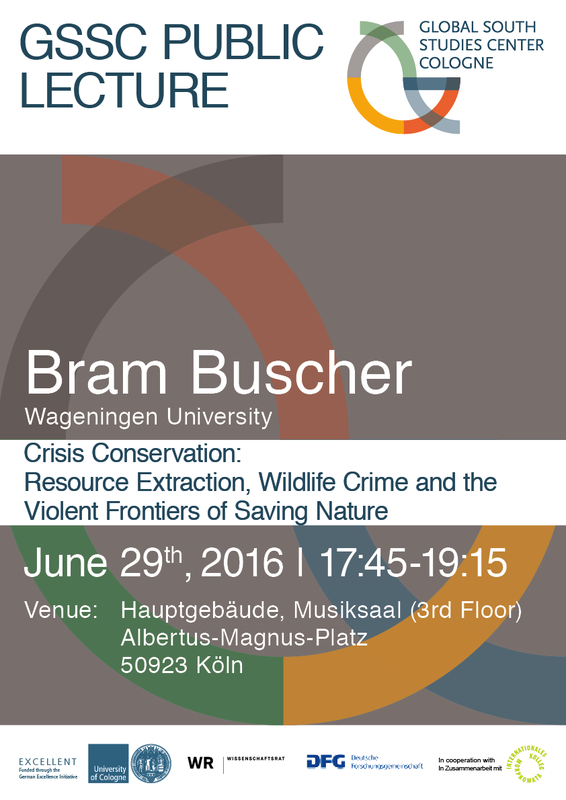 In this presentation, I will discuss the impacts of the current surge in large-scale resource extraction and wildlife crime, and the conservation responses they elicit. Recent political ecology literature points at three reasons why this surge differs from earlier ones and why extraction and wildlife crime should be studied together. First, rising levels of affluence in Asian and other Œemerging economies¹ have triggered a sharp increase in the demand for fossil, mineral, timber and wildlife resources. Second, new extractive, military and information and communication technologies have rendered resource extraction and wildlife crime more effective, (potentially) lethal and destructive, and its impacts more visible to global publics. Third, they are increasingly overlapping in reality, thereby (further) blurring legal and illegal practices. The result has been a fertile ground for Œcrisis conservation¹: high-pressure situations where urgent action is required to safeguard nature from destruction. I argue that crisis conservation situations should be seen as Espaces of exception¹ where rules, norms and ideas about legality are violated by those perpetrating and those countering the threats. These spaces of exception often include violence and therefore dramatically change environmental governance, but exactly how and with what impacts on people and nature is ill understood. Building on recent theoretical thinking on the links between biopolitics, violence and political economy, I speculate what the main impacts might be and in what contexts they might best be understood.